A suicide bomber has struck outside a main crowded market in Chad’s capital, killing 17 people and injuring scores of others, a police spokesman told Al Jazeera. Authorities said the assailant was disguised as a woman wearing a full face veil when he detonated explosives as police tried to stop him in N’Djamena on Saturday. Two policemen were among those killed in the third attack in the country’s capital in less than a month. It is believed to be part of a spate of violence organised by Boko Haram fighters from neighbouring Nigeria in retaliation for Chad’s involvement in the fight against the group. Saturday’s blast came a week after suspected Boko Haram fighters killed 26 people in nightly attacks on two villages on Lake Chad. Less than a month ago, suicide bombers on motorcycles attacked two buildings in N’Djamena, killing nearly 40 people in the first assault of its kind since the armed group threatened the country earlier this year. In late June, two more suicide bombings in N’Djamena killed 11 people including five police officers. 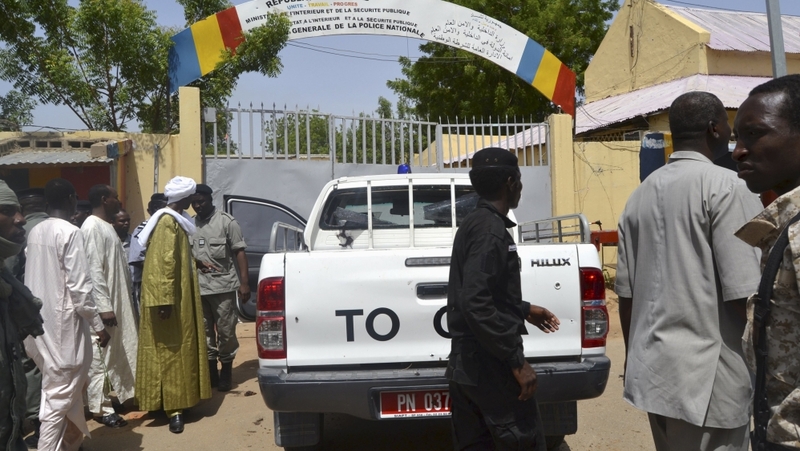 Chad has been a major participant in the fight against Boko Haram, which has publicly threatened Chad’s President Idriss Deby with retaliation.